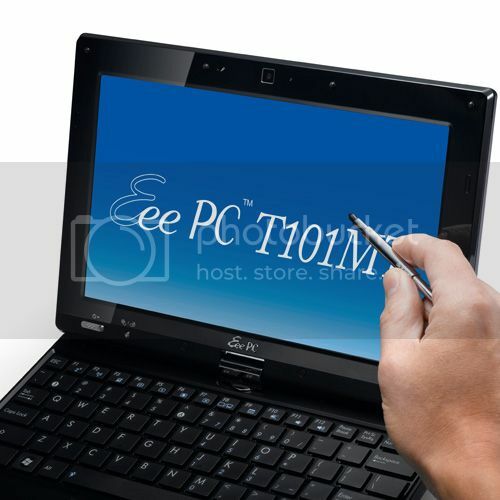 Slowly, but surely it looks like the 10-inch Asus Eee PC T101MT convertible netbook is edging to closer to a retail release. 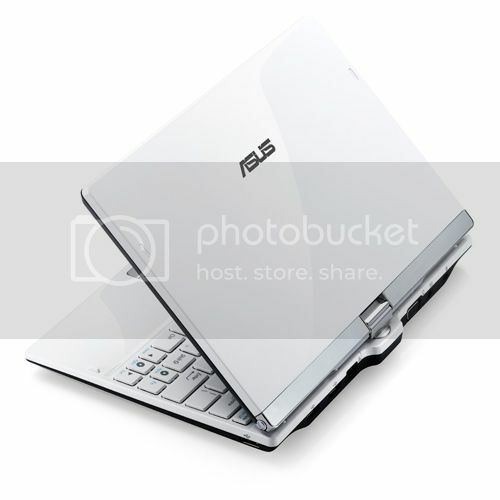 Over the last week, Asus revealed a video showing off the user interface and then we saw pre-orders open in Germany. 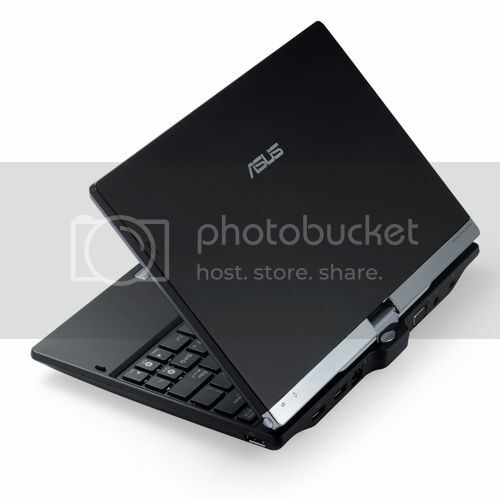 Now Asus has revealed the official product page. 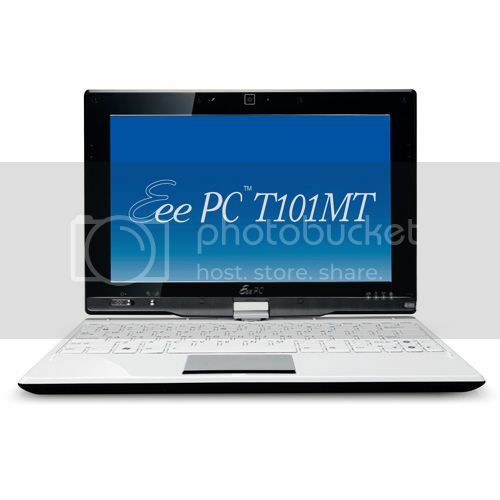 We’re treated to the full specifications of the device as well as a load of official photos. 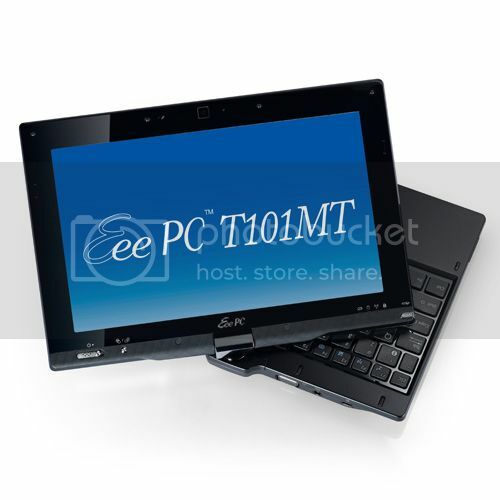 The Asus Eee PC T101MT will come with a 10.1-inch resistive multi-touch panel with 1024 x 600 resolution. 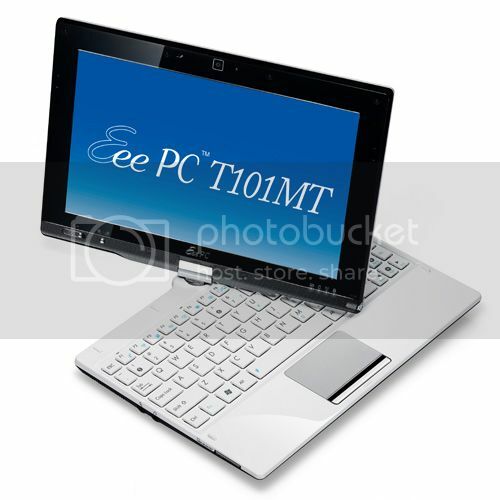 It will be powered by the 1.66GHz N450 Atom Pineview processor and will come in two versions (one with Windows 7 Starter and the other with Home Premium). 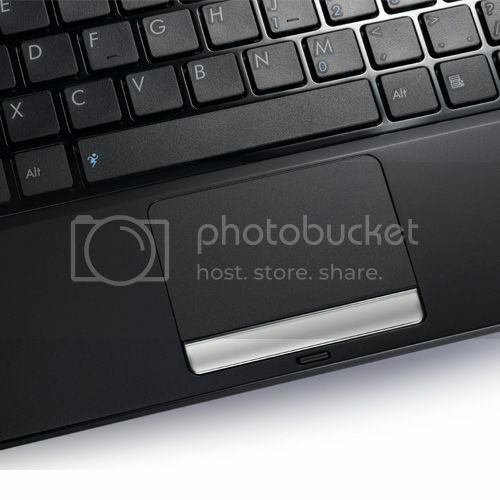 The W7 Starter model will come with 1GB RAM and a 160GB HDD, whilst the W7 Home Premium model will come with 2GB RAM and a 320GB HDD. Other features include Wi-Fi (b/g/n), Bluetooth 2.1, a 0.3MP webcam, three USB ports, SD/SDXC card reader and a 6.5 hour battery life. 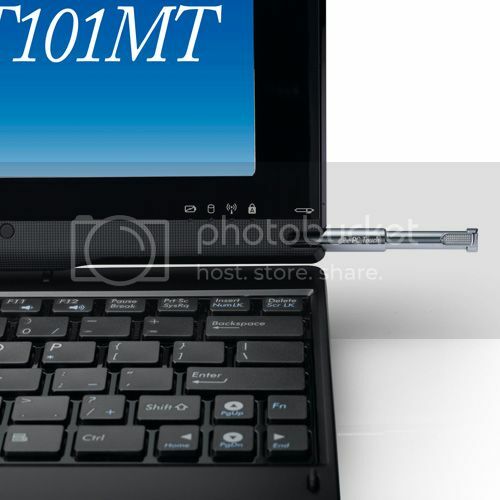 The T101MT will be available in both black and white. We’re still waiting for official pricing and launch details, but that can’t be too much further now. Pierre from Blogeee suggests that the release date will be sometime in April. Once we get hold of any official details we’ll keep you posted. 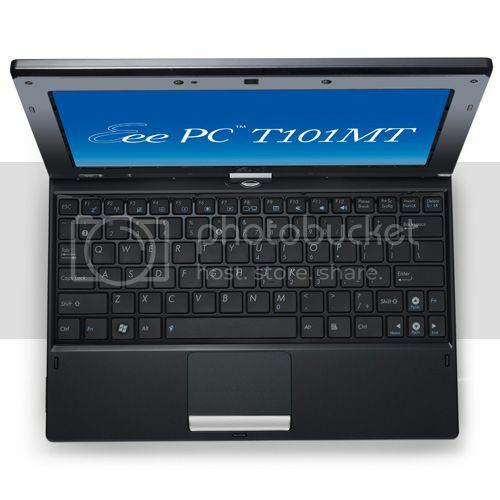 I’ll probably put an intel atom 330 dual core in it! Technical specification is lacked graphics subsystem. Is not information about GMA950, 3150, 4500 or NVidia ION? Thank you for your entire work on this website. My niece delights in setting aside time for research and it’s easy to understand why. My spouse and i know all regarding the dynamic form you make advantageous information via your website and as well as increase participation from website visitors on that concept so my simple princess is certainly understanding a lot. Take advantage of the remaining portion of the year. You are carrying out a brilliant job.